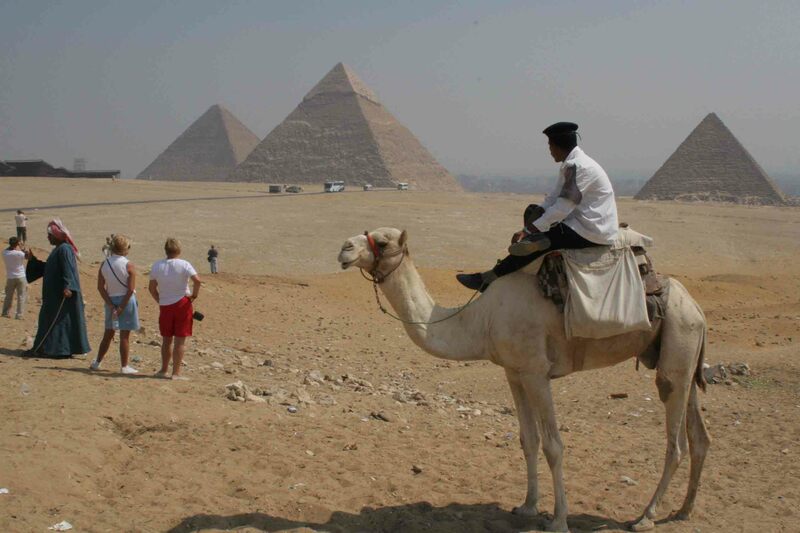 Thursday night, as the driver brought me home from a shopping spree at the French supermarket Carrefour, we drove from the eastern outskirts of Cairo toward the sunset and the area of Giza. With the sun dipping below the horizon, the orange light silhouetted the great pyramids, making them visible through the city’s haze. It was my first sighting of them since I arrived in Cairo three weeks ago. 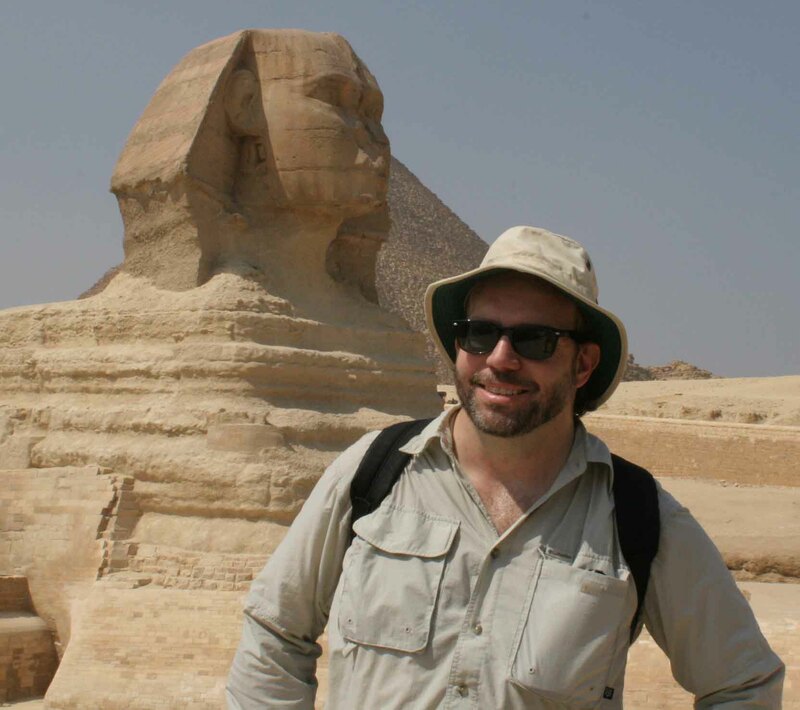 I’d been to the site three years ago, when I shot for a documentary about theft in the antiquities trade. That shoot was a brisk couple of hours, gathering quick shots before the guards threw us out so they could get home early during the month of Ramadan. 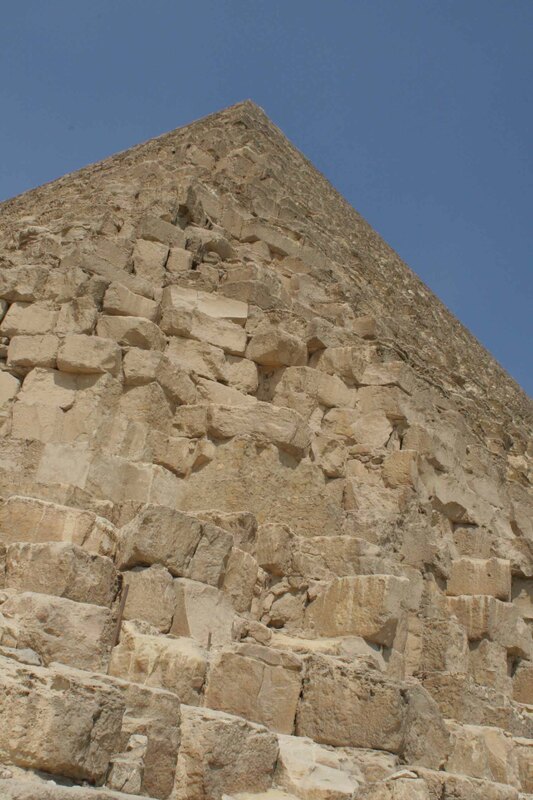 Today, I went on a bus with other new faculty, led by an expert guide, who explained a great deal about the pyramids, the volume of their girth and the length of their construction, with a little bit of ancient Egyptian mythology thrown in. 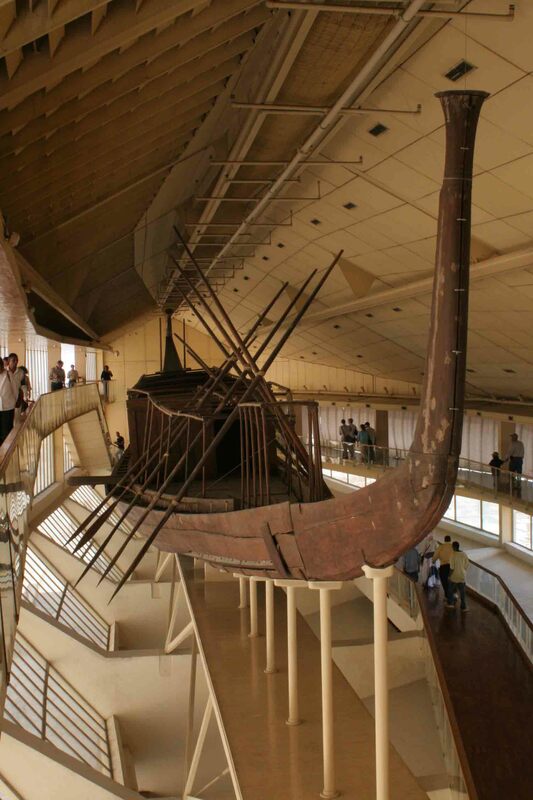 We also saw the amazing Solar Boat, discovered in the 1950s in a tomb next to the largest of the pyramids (for the pharoah Cheops). The reassembled boat lies in a museum building created specifically for its display. 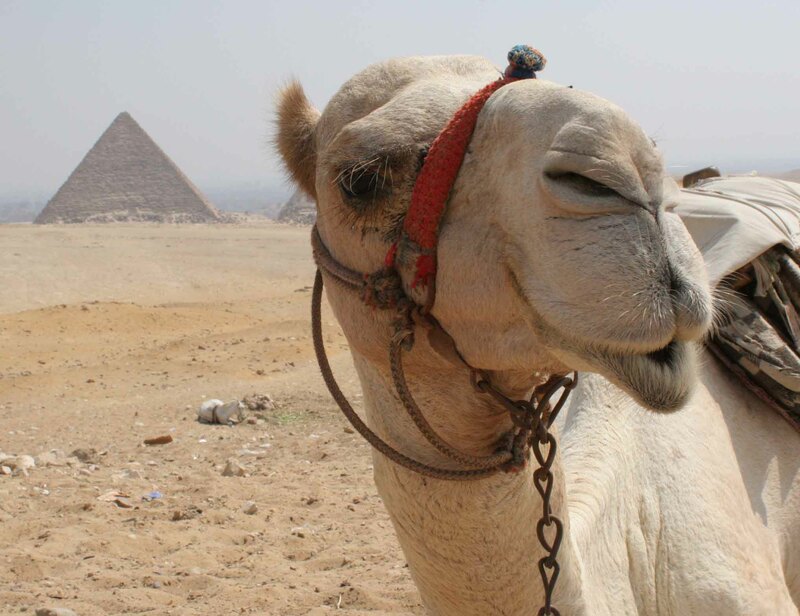 I just wanted to tell you that I was searching for pictures of camels to show my daughter, for some reason she out of the blue asked me, and I came across your photo of the camel with the pyramid in the background and I just thought I would tell you that it made me smile. Thanks for sharing! Thanks for writing, Tracy. Glad to hear the photo made you smile. I like that shot a lot. I have to say I came across your picture the same way Tracy did. It’s a magnificent picture and I was in awe. Thank you again for sharing!